Williams have revealed their new 2019 car livery, introducing ROKiT as a new title sponsor. The global telecommunications company was added to the car during a special event held at Williams Racing HQ ahead of the 2019 season and signals an exciting new era for the team. Claire Williams, Deputy Team Principal, ROKiT Williams Racing, added: “We are delighted to welcome ROKiT to our team as our title partner for the 2019 season and beyond. We share many similar values and aspirations with ROKiT; primarily putting engineering and innovation at the core of everything we do in our pursuit to be the best – the perfect platform from which to start a partnership. In addition to exclusive naming rights, the major Title Partnership will see ROKiT branding adorn the new Williams Mercedes FW42 race car. ROKiT will also feature prominently on the race suits and helmets of Williams’ race drivers, plus all trackside personnel team kit. 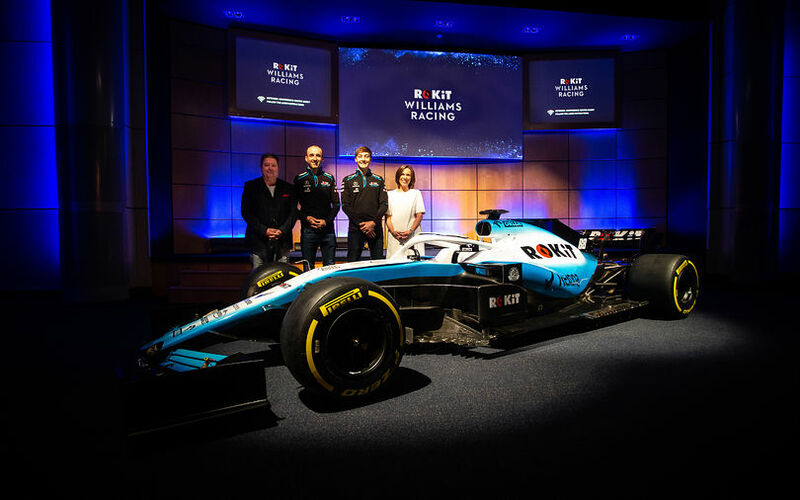 The ROKiT WILLIAMS RACING-branded FW42 car will make its race debut on March 17th in Melbourne, Australia, kicking off the 2019 Formula One season. Williams is set to roll out their new car at the start of winter testing only.